Teams with a combined yearly production of $2.5 million and higher and average production per rep of $750,000 and higher will get higher payouts. UBS advisors, like their counterparts at rival wirehouse firms, will not see major changes to their compensation grid or deferred compensation in 2016. But the highest performing teams will see higher payouts. The firm has the highest average annual level of fees and commissions among the four wirehouses based on third-quarter performance – at $1.1 million – and aims to stay on top of the field; the group’s roughly 7,000 reps in the Americas had average assets of $142 million. The most significant change concerns teams. For advisors in groups with a combined yearly production of $2.5 million and higher and average production per rep of $750,000 and higher, there will be a higher grid payout, the firm says. In concrete terms, this means that all members of a team meeting these standards will individually receive payouts based on what the team’s highest producer receives. “Changes that were made were around teaming and reflect our desire to be the industry leader in supporting wealth management teams,” explained Chandler. Also, team members can decide how they want to share bonuses and deferred compensation between themselves, according to a report last week in The Wall Street Journal. The standard production bonuses at UBS range from 28% to 45% of fees and commissions. Reps bringing in up to $249,000 of production have payouts of 28% to 30%; those with $250,000 to $624,999 get 33% to 39%, and FAs producing $625,000 and more receive 41% to 45%. In 2015, wealth management production included fees tied to advisory services, insurance, lending and planning, with bonuses of up to 6% of production. Advisors with fees and commissions tied to these products and services that represent between 5% and 24.99% of their total production have received an extra bonus of 0.50% to 1% of their wealth-management sales. For UBS reps who make between 25% and 49.99% of their total production in wealth management products and services, the wealth management bonus has ranged from 1.5% to 3.5% of this production. Advisors with wealth management sales that represent 50% or more of their total production were awarded a wealth management bonus worth 4% to 6% of these fees & commissions. Five advisors and a three-advisor team joined UBS recently with total assets of nearly $2.2 billion. Five of the latest recruits join UBS with some $1.1 billion in client assets from Credit Suisse — which struck an exclusive recruiting deal with Wells Fargo Advisors in October. Three other reps joined the Swiss-based broker-dealer from Wells Fargo with $1.1 billion in AUM. 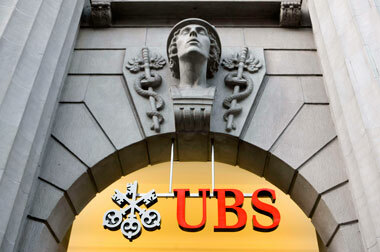 In mid-November, UBS added four teams in Texas from Credit Suisse with $3.6 billion in client assets.